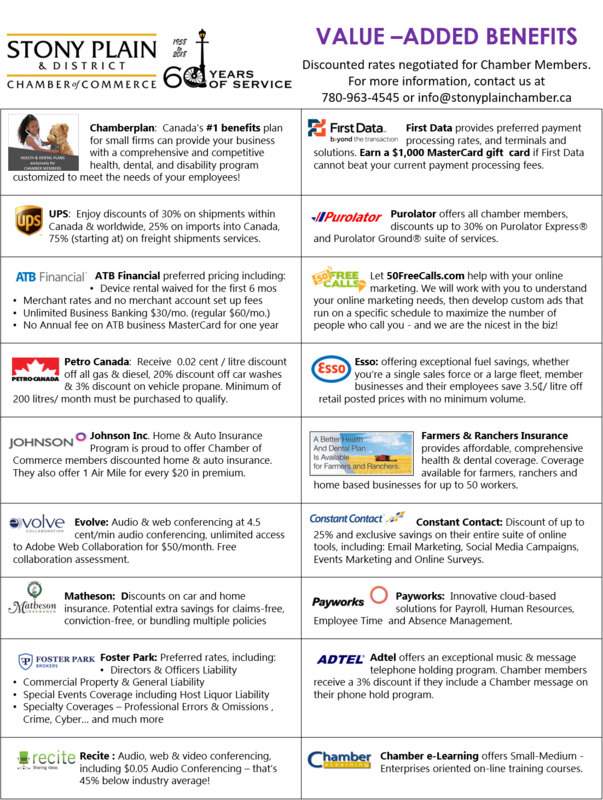 Chamberplan: Canada's #1 benefits plan for small firms can provide your business with a comprehensive and competitive health, dental, and disability program customized to meet the needs of your employees! then develop custom ads that run on a specific schedule to maximize the number of people who call you - and we are the nicest in the biz! Save 10% everyday. Members of the Small Business Solutions Program who present a 'Get More' card will receive 1 Aeroplan Miles for every one (1) dollar spent in respect of a purchase at The UPS Store (in store only).